August 2013: Move 4200 km across Canada. October 2013: Become friends with the only other female MDiv-track in my year. November 2013: Start following every female clergy person I can find on twitter. And then I found them: A whole community of women who are leaders in their respective churches. Women who share with each other, care for each other, pray for each other, and laugh with each other. Clergywomen who have blazed the trail for me to come behind and benefit from their wisdom and their struggles. So I hung around the edges. Online as in life, I am more likely to sit and watch and read rather than jump into the fray and comment the hell out of something. But then something happened that made it impossible for me to quietly watch anymore: They made a book. 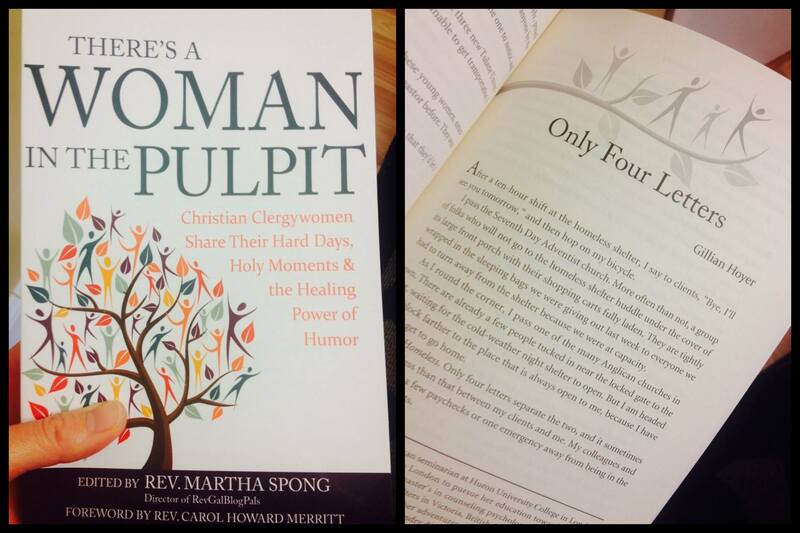 Or at least they started posting about making a book and were asking for people to contribute stories to it: There’s a Woman in the Pulpit: Christian Clergywomen Share Their Hard Days, Holy Moments, and the Healing Power of Humor (published on SkyLight Paths, edited by Martha Spong). The one thing that I love almost as much as reading books is writing (obviously term papers are long finished and my brain has deluded itself into thinking this last sentence is true. Because it sure wasn’t three weeks ago…!) and when I saw the RevGals post, I knew I had to be involved. But… I’m not ordained [yet!?!]. What do I have to offer to a collection of stories and reflections about life as a clergywoman? Then I realized that I have been in church leadership for most of my conscious life: from the lead in the Christmas pageant to leading prayers and scripture readings weekly from the time I could reach the lectern microphone from a step stool, from choir member to music director, from serving from the time I could walk and carry a candle at the same time to preaching in pulpits across Canada, from council member to warden, from student intern to leading morning prayer when the priest is away. After all, that is at the heart of most of the stories contained in this book: belonging. We belong. We belong to our families, to our churches, to our communities. We belong to the group of people who call themselves clergy. And we have found a unique, quirky, and loving group of people online – and in person – to whom we also belong. These stories are a reflection of our best days and our worst days, our touching moments and our moments of laughter and tears. 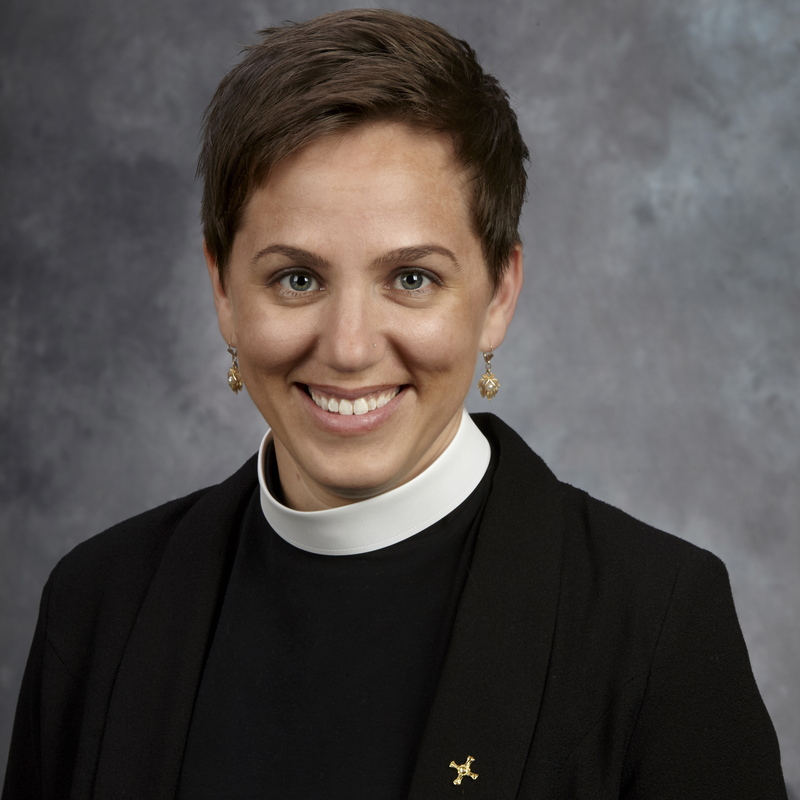 They are stories of the women who have gone before me to make a place for women in church leadership and they are stories for the women and men who will come after me. I’m biased, but it is a fantastic book. I also wrote in it, so I’m even more biased. But I think you should read it. Canadian friends, you can find it here. 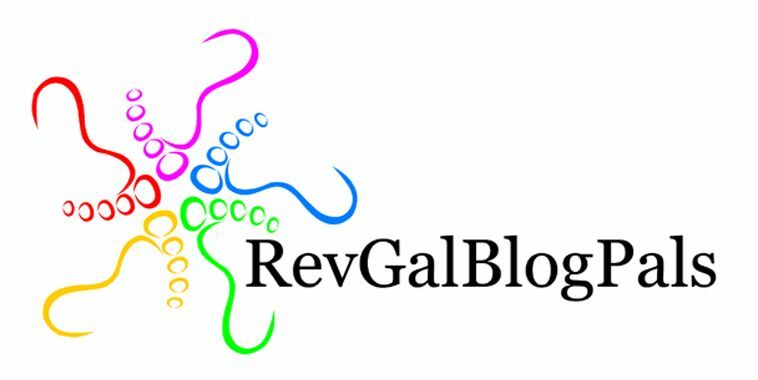 This entry was posted in Life and tagged books, revgalblogpals, writing. Bookmark the permalink. This is a great review – Thanks Gillian! I loved your home/homeless essay. It reminded me of my seminary days when my spiritual director proclaimed I was neither fish nor fowl as I pondered my place in the Kingdom and ordination process. Seminary is such a weird place, isn’t it? Not really a lay leader but not ordained either. It was definitely an interesting year of field placement thinking about stuff like that. I love the neither fish nor fowl analogy! Gillian, thank you so much for sharing your story in the book!